It gives us great pleasure to let you know that we've initiated a partnership with https://www.byon.net/, a telecommunications provider based in Frankfurt. Cogia and byon have been working together since the end of 2016 and will be appearing together at this year's CCW in Berlin. 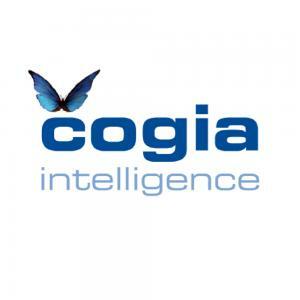 Thanks to their cooperation with Cogia GmbH, byon GmbH is now able to offer their customer service and call center clients a powerful tool for social media management. "This cooperation pairs us up with the perfect partner and allows us to tap into another attractive area of the customer care segment,." said Pascal Lauria, managing director of Cogia GmbH. Udo Thermer, head of product development at byon, sees the follwing advantages in this partnership: "With the help of Cogia, we'll be adding social media components to our byon vACD. This (addition) enables our customers to maintain an overview over their social media channels via byon vACD. This allows customer service employees to immediately react to comments and events throughout the various social media outlets." The Frankfurt-based byon GmbH was founded in 2006. The business is an independent enterprise of the CONSENSE GRUPPE, which has been successfully operating within the telecommunications sector for over 20 years. As a reseller and cloud provider, byon GmbH offers solutions for the following areas: Call center technology, traditional and virtual telephone systems as well as virtual ACD and video conference systems. By relying on customer feedback, byon develops premium industry solutions and site concepts. In particular, their vTK and vACD products enable a step-by-step migration process to be carried out so that existing company infrastructure can be integrated into future concepts. The newest version of byon vADC, complete with the integration of Cogia GmbH, will be presented by both companies this week at the CCW in Berlin. Cogia GmbH will be represented at byon's stand and will be available to answer questions. Visitors can find byon and Cogia at stand C9, located in hall 2.